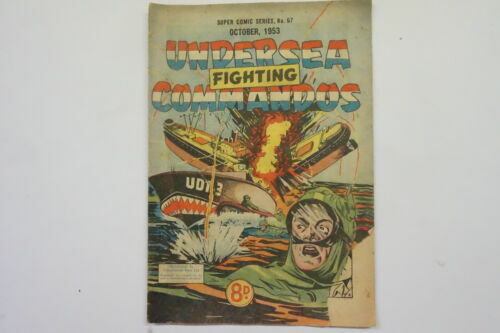 11 Collectable " Commando " War Comics. 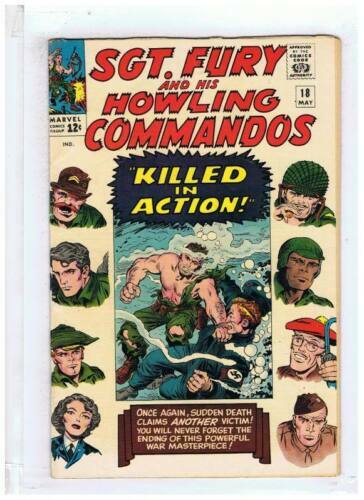 10 Collectable " Commando " War Comics. 4 Commando War Comics "The Fighter" Late 1970's "VERY NICE AS NEW COPIES"
4 Commando War Comics "Trouble Ahead!" 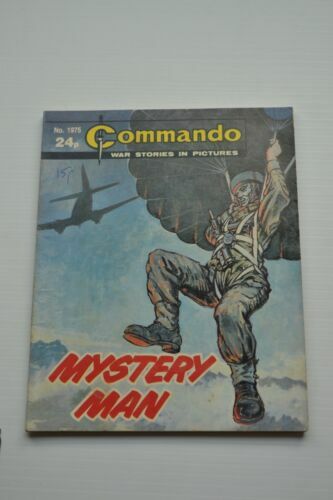 Mid 1980's "Very nice As New Copies"
Commando Comic #1975 “Mystery Man"
Commando Comic no. 2493 from 1991. "Jailbreak Heroes” Good Cond. 4 Commando War Comics "Charlie's Tank" Mid 1980's "As New Condition"
Commando War Comic no. 808 from 1974. "Haunted Skies"
SGT. FURY AND HIS HOWLING COMMANDOS #86 Marvel 1971 "A little town in France"